Thank you for your interest in our Planned Giving Program. Most of us have participated in making financial decisions during our lives such as buying a car, a home or how to pay college tuition. In each instance, you planned beforehand, chose the option that suited you best, and then proceeded with your plan. Planned giving is the term used to describe the process that takes place when a donor decides to leave a substantial gift to a charity. It simply means that you have planned in advance, reviewing which giving option suits you best. After determining the proper option, you then give your gift to the charity – or charities – of your choice. Wills and Life Insurance policies are frequently the options chosen in Planned Giving. However, there are several Planned Giving options in which you can give a substantial gift to AMVETS NSF a National 501(c)3 organization, take a charitable tax deduction and receive lifetime income now or at a later date. 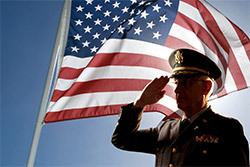 The options, offered by AMVETS, are gift annuities and trusts.